Some of the web's leading weather websites have relaunched recently, so it's about time we picked our favorites. Let's reveals which ones to visit for the best outlook. What we liked: The Met Office site has long been in need of an overhaul, and this beta version brings it bang up to date. It now has a more sophisticated design that lets you drag and drop tools around the homepage so you can display it exactly as you want it. The homepage shows any current weather warnings, as well as a five-day - forecast, UK weather map, news and weather predictions for forthcoming outdoor events. You can customize the page to show the weather in your area and, unlike the old site, it will show your precise location rather than the nearest weather station. 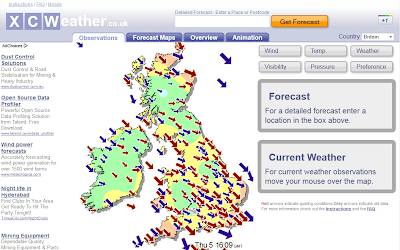 The Weather tab lets you view the UK forecast and current observations of weather conditions and you can fly down into any part of the country using the zoom able map. There's a choice of 11 different map views, including weather, actual temperature, feels-like temperature, rainfall, surface pressure, wind, cloud cover and more. You can view a five-day forecast or a more detailed 30-day overview. How it can be improved: The beta site is still very much a work in progress, so some elements, such as the climate-change guide and news, are missing. To access these, you'll need to switch back to the old version. This won't be a problem once the site officially launches. 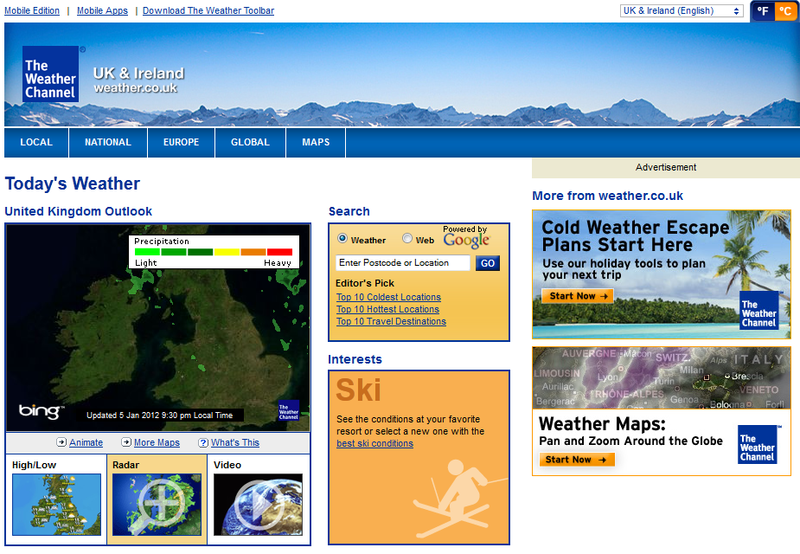 The Met Office site has always provided detailed weather information, and with a more accessible design and handy new tools, it's our clear favorite. What we liked: A recent makeover has given the BBC's site a cleaner interface that shows the weather for your favorite locations (London by default) in a scrollable strip at the top of the screen. 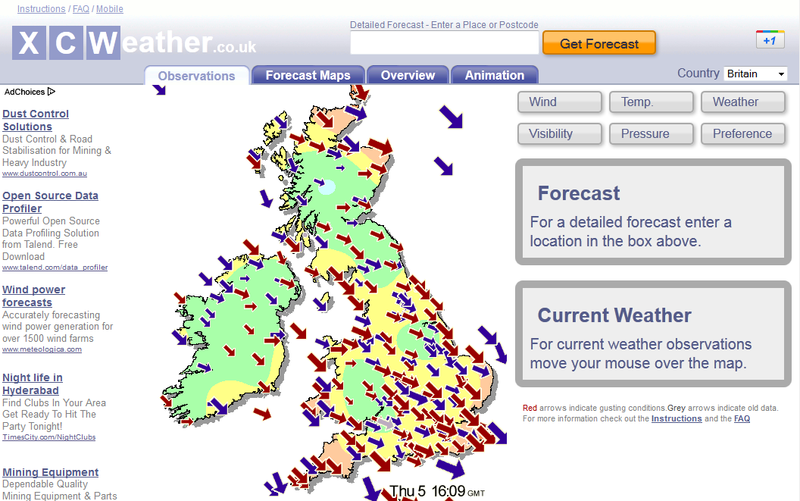 Below it is an overview of the UK's weather, a simple map and any weather warnings. You can watch a video of the latest forecast and access features and analysis. 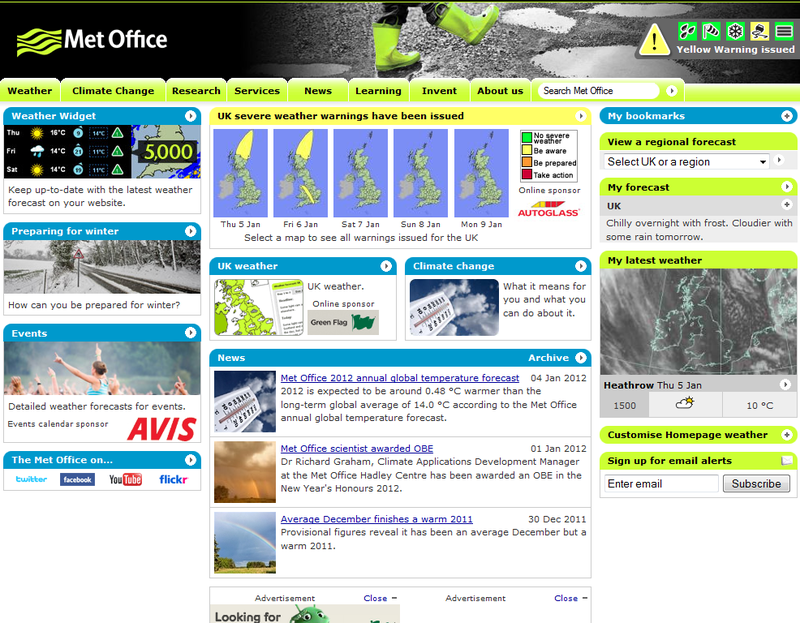 The front page also shows the current top five coldest and hottest spots in the UK, with their average temperatures. To see what the weather is like in a specific location, just type the town, county or postcode into the box to get a five-day forecast. Click any of the days to see how the weather is expected to change during the next 24 hours. How it can be improved: You need to hover your mouse over the page in order to find links to click, which makes it a little confusing to begin with, and printed forecasts are bit too plain and simple. There are no zoom able maps either, and the maps that are there can be a little slow to load, although the BBC is apparently looking into this problem. Fans of the old site may balk at the changes, but the new look is clean and simple to use. BBC Weather is still a superb site. 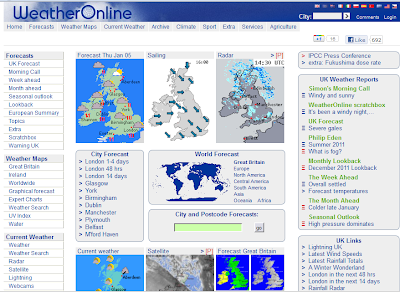 What we liked: WeatherOnline's main screen is packed with maps, forecasts, reports, links and information. Enter a location or postcode to see what the weather predictions are for that area and use the buttons to choose the time period to display. 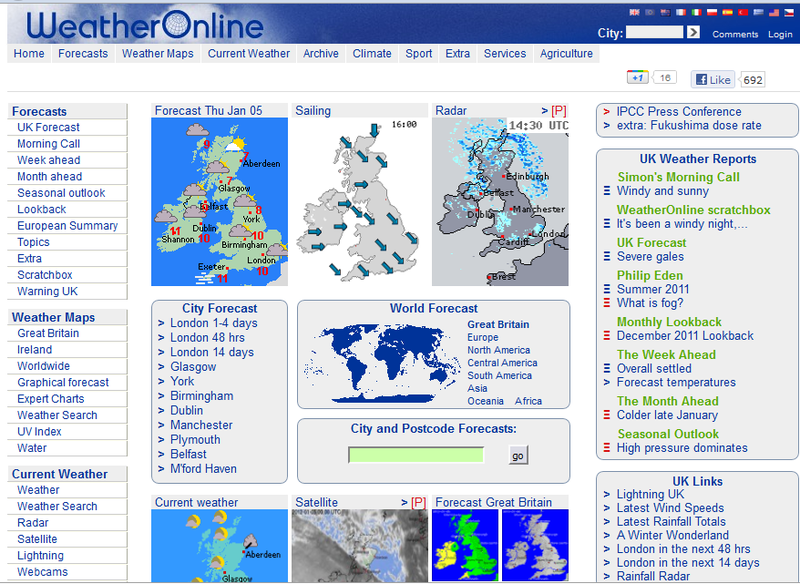 The forecast map gives an overview of the weather across the UK. You can view the maximum and minimum temperatures, UV index, duration of sunshine, chance of precipitation and various other options. There are lots of links and information to browse through, and the more time you spend on the site, the more you'll appreciate the depth of data on offer. 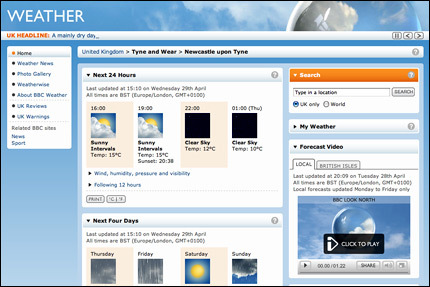 The Weather Search option, for example, picks out places, both in the UK and abroad, that are experiencing specific temperatures or conditions (such as clear skies or thunderstorms). How it can be improved: The design is rather dated and cluttered, with small, basic maps and old-fashioned graphics. You can't d rag and arrange the elements or customize the site, and although the information is accurate and up to date, it's often poorly presented. To use some of the options, such as the 48-hour and 14-day forecasts, you'll need to pay £19.90 for an annual subscription. 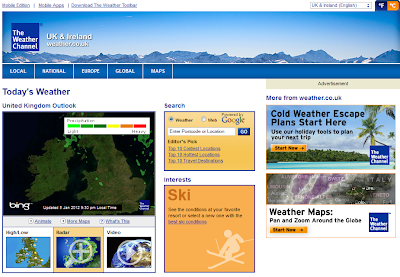 A dated and unattractive design with poor-quality maps detracts from what is actually a very good site for weather enthusiasts, with plenty of options to explore. 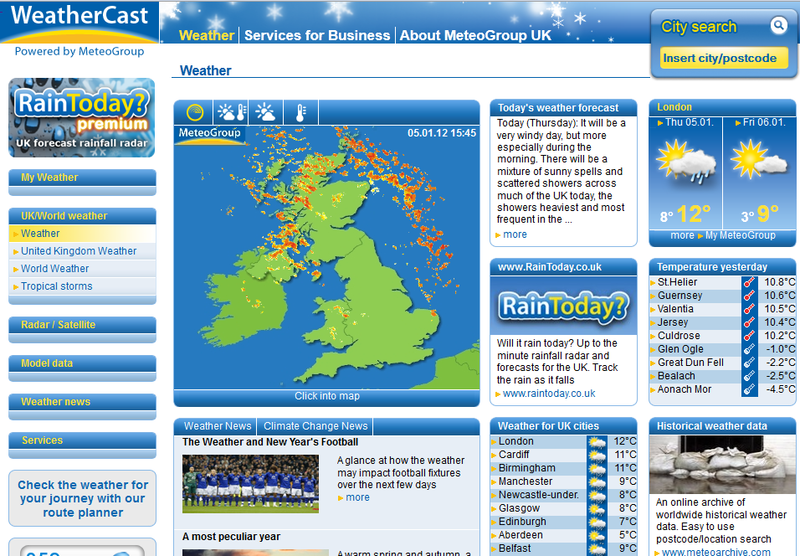 It's not the best looking site, but XCWeather offers plenty of detailed forecast information. Enter a place name or postcode and it will provide a breakdown of what the weather is likely to be every three hours for the next seven days. This rather basic-looking site offers local, national, European and global forecasts, as well as a map room with an impressive selection of weather maps. It can show you the current conditions, as well as next-day, 10-day, monthly and seasonal forecasts.